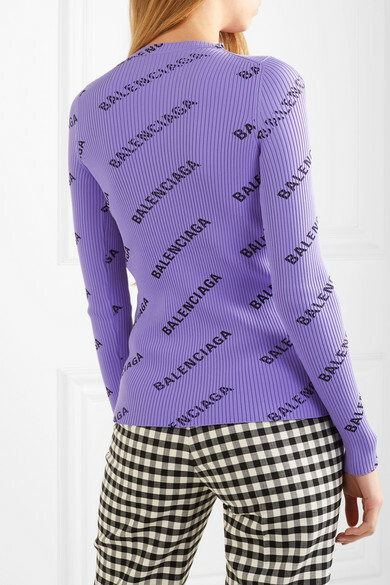 Balenciaga's top has a slim fit that lets you wear it easily as a base layer - the brand's stylists like it under an asymmetric sleeveless dress. 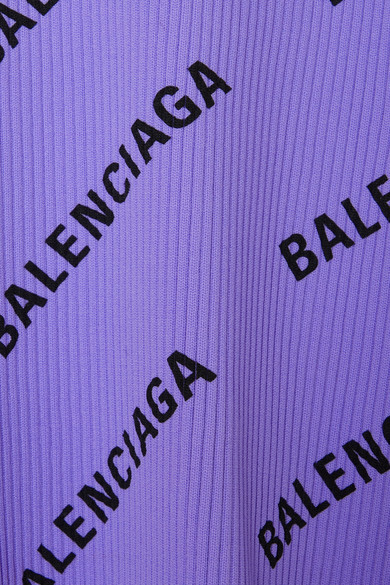 It's made from supple ribbed-knit with an all-over logo print. If you don't want to cover it up, team yours with tailored pants. Shown here with: Balenciaga Pants, Balenciaga Tote, Balenciaga Mules.